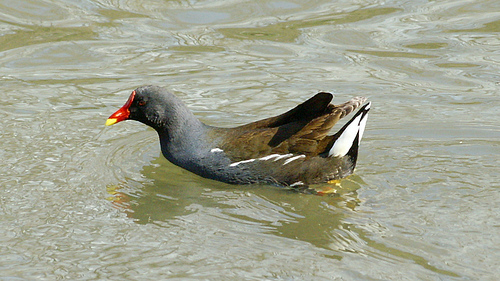 The Moorhen may be seen in many ponds, but is usually less noticeable than the Coot. Its behaviour is a little more shy. The big difference with the Coot is the colour of the forehead. 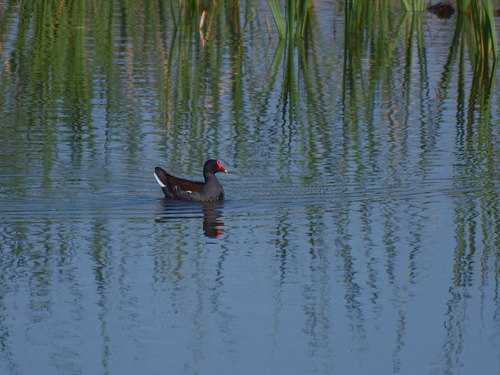 White with the Coot, red with the Moorhen.